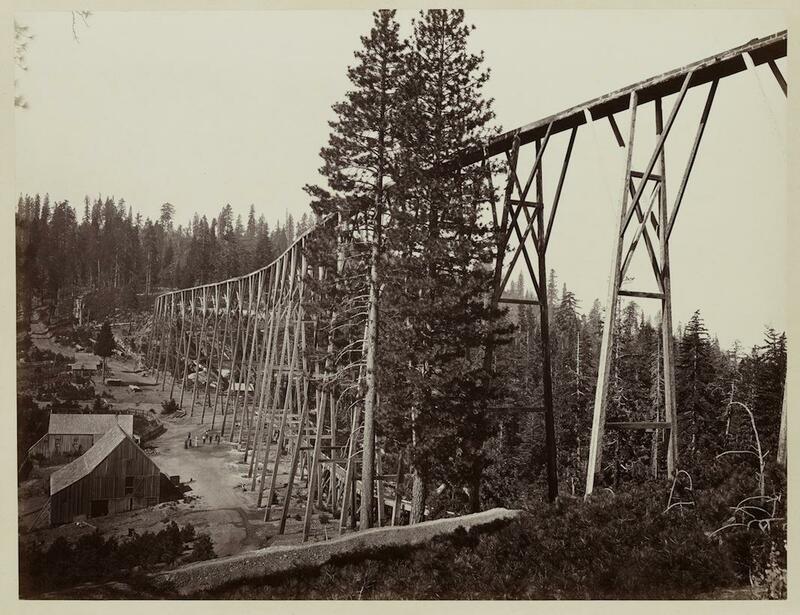 Pompompasos, the Three Brothers, Yosemite 4,480 ft., 1865–66, from the album Photographs of the Yosemite Valley. Of all the pioneering landscape photographers of the American West, Carleton Watkins was among the earliest and most influential. 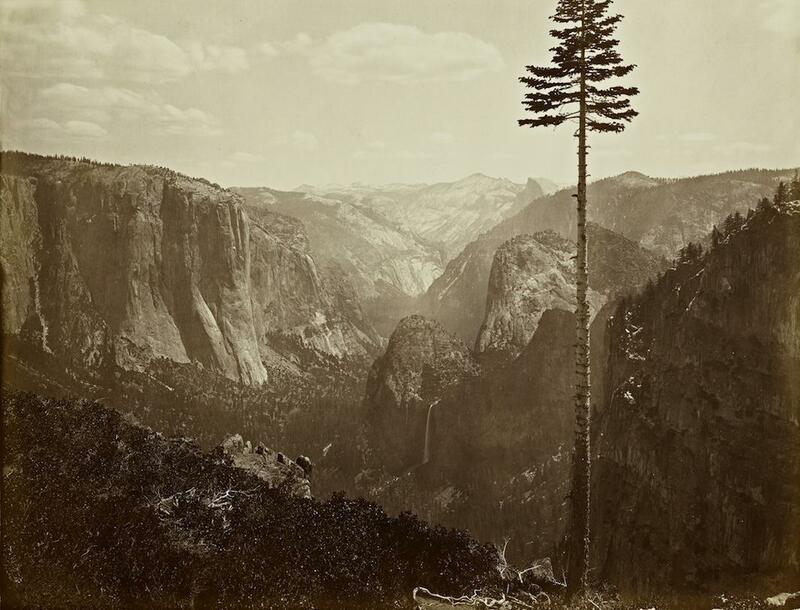 An exhibition at Stanford University’s Cantor Arts Center, “Carleton Watkins: The Stanford Albums,” includes Watkins’ photographs from the 1860s and ’70s, which present spectacular views of pristine wilderness in the Yosemite Valley and on the Pacific Coast, as well as industrial development in Oregon and along the Columbia River. Watkins moved west in 1849 during the gold rush and stumbled into a job at a portrait studio in San Francisco. After a few years, he struck out on his own, becoming a specialist in landscape photography when there was little competition and high demand. “If someone was paying him to go to a site he would take those photographs that were commissioned but he would also take some for himself. He was able to build up a stock of images of this gorgeous area that people had only heard about in the news. When those images got to the east his career took off,” said Elizabeth Kathleen Mitchell, who co-curated the exhibition. 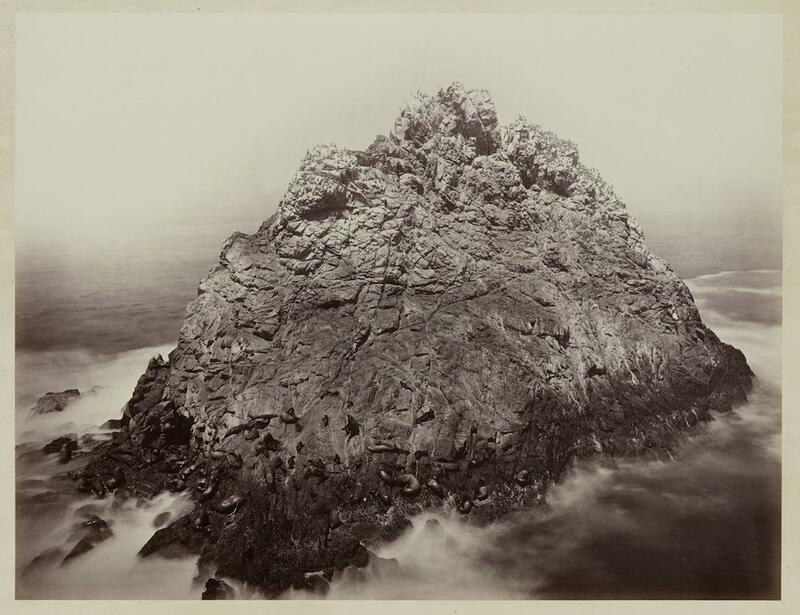 Sugar Loaf Islands and Seal Rocks, Farallons, 1868–69, from the album Photographs of the Pacific Coast. 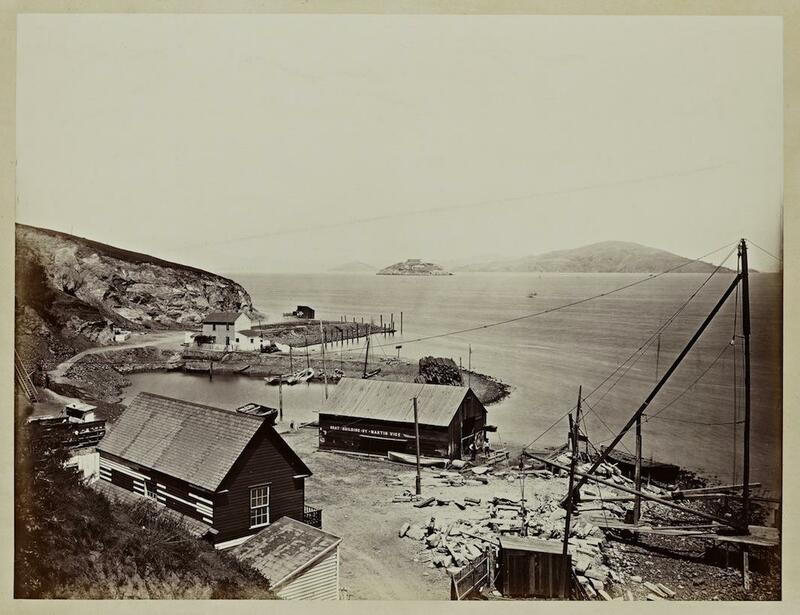 Alcatraz from North Point, 1862–63, from the album Photographs of the Pacific Coast. 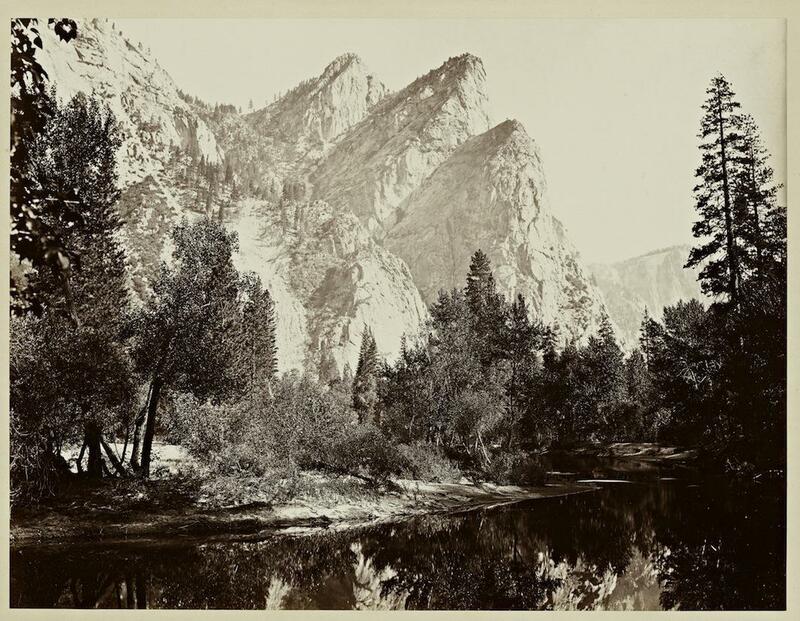 The Yosemite Valley from the “Best General View,” 1866, from the album Photographs of the Yosemite Valley. 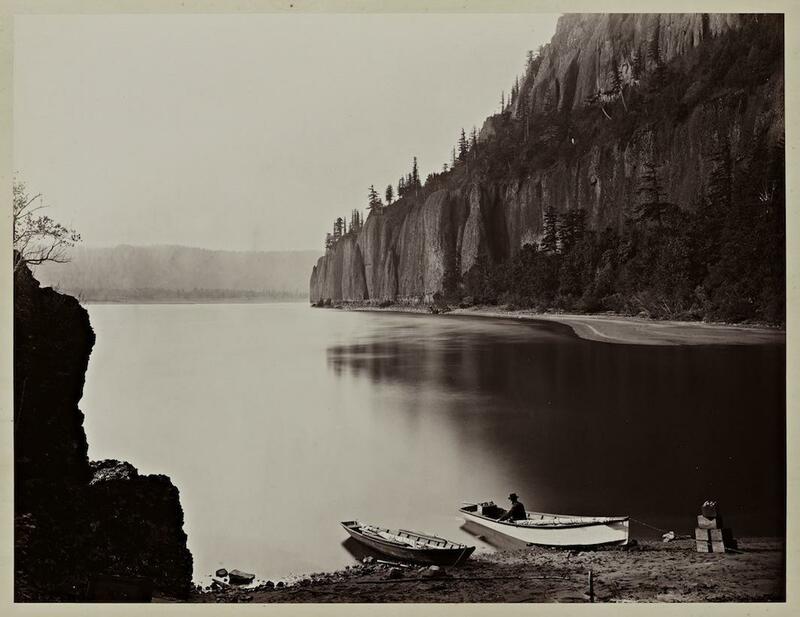 Carleton Watkins, Lent by Department of Special Collections, Stanford University Libraries. 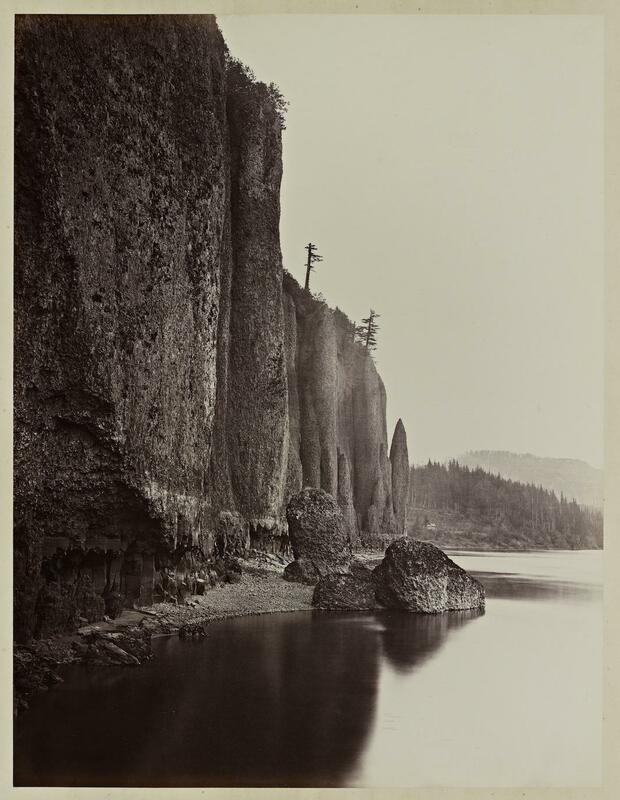 Cape Horn, Columbia River, 1867, from the album Photographs of the Columbia River and Oregon. 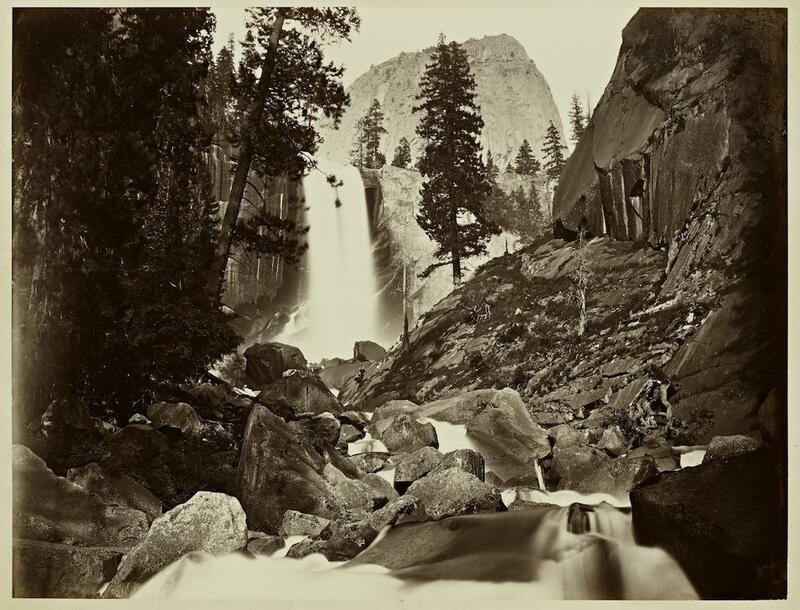 Piwyac, the Vernal Fall, Yosemite, 300 ft., 1861, from the album Photographs of the Yosemite Valley. The exhibition, “Carleton Watkins: The Stanford Albums,” is on view at Stanford University’s Cantor Arts Center until Aug. 17. Mt. 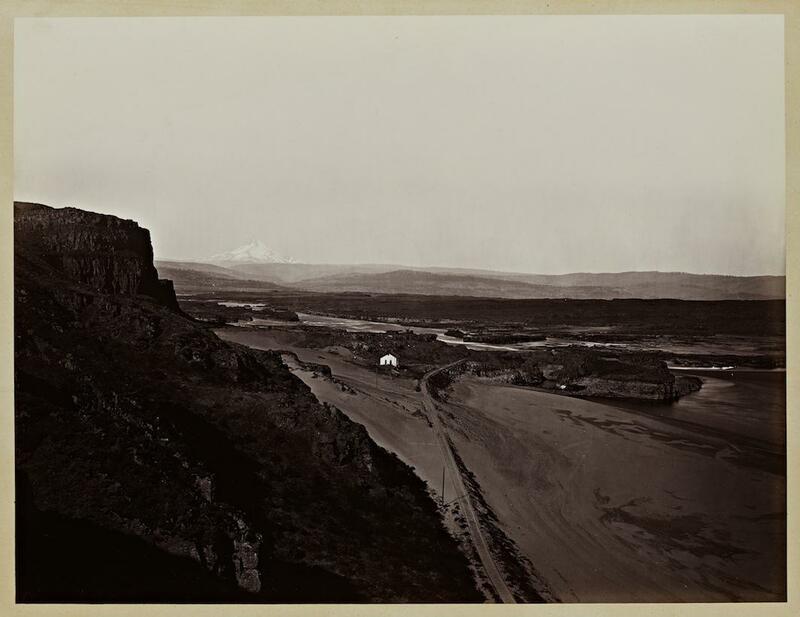 Hood and the Dalles, Columbia River, 1867, from the album Photographs of the Columbia River and Oregon. Magenta Flume Nevada Co. 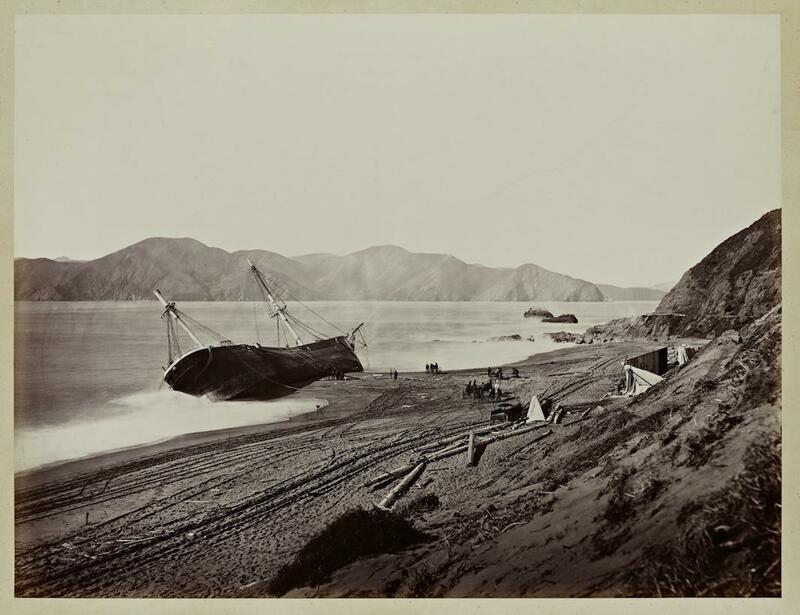 Cal., c. 1871, from the album, Photographs of the Pacific Coast. The Wreck of the Viscata, March 1868, from the album Photographs of the Pacific Coast. 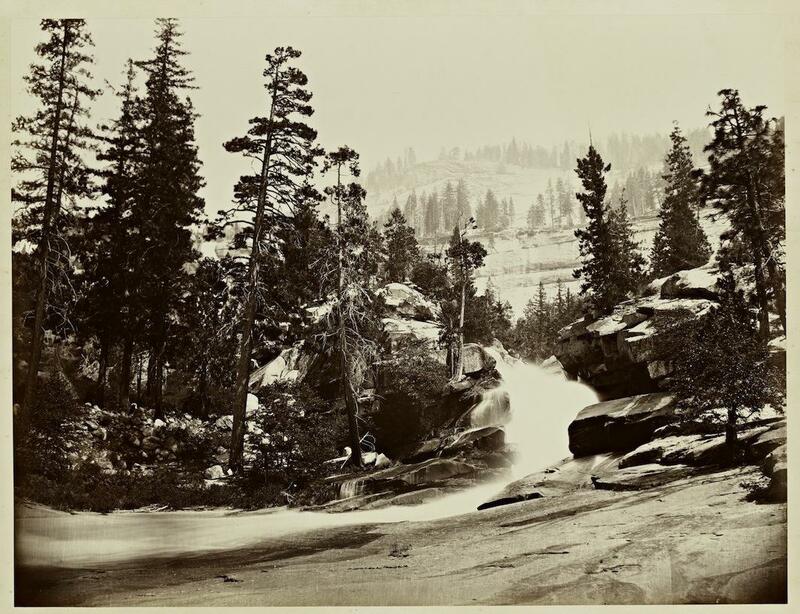 Cascades Between the Vernal and Nevada, Yosemite, 1861, from the album Photographs of the Yosemite Valley. 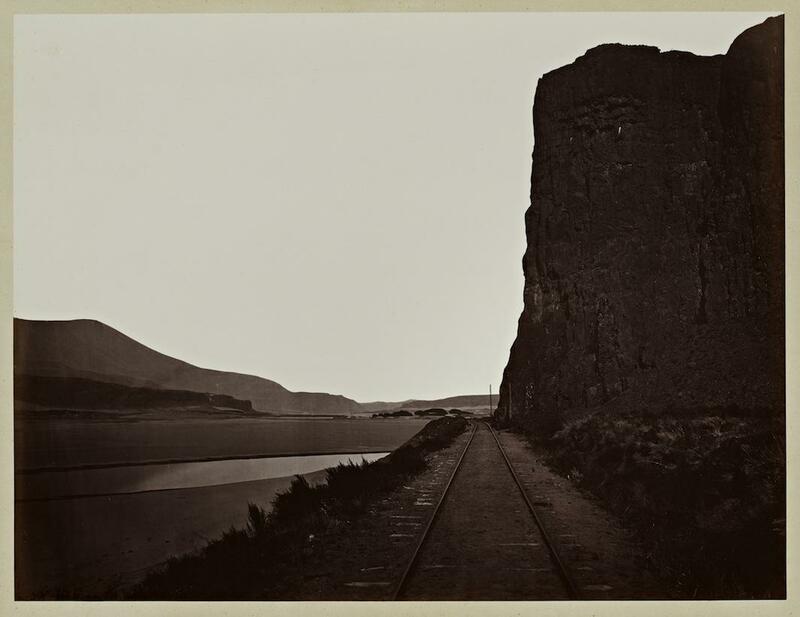 Cape Horn, Near Celilo, 1867, from the album, Photographs of the Columbia River and Oregon. *Correction, June 1, 2014: This post orginially misstated that Congress made Yosemite a National Park in 1864. Yosemite wasn’t designated a National Park until 1890. The land was preserved for public use in 1864 through the Yosemite Valley Grant Act.